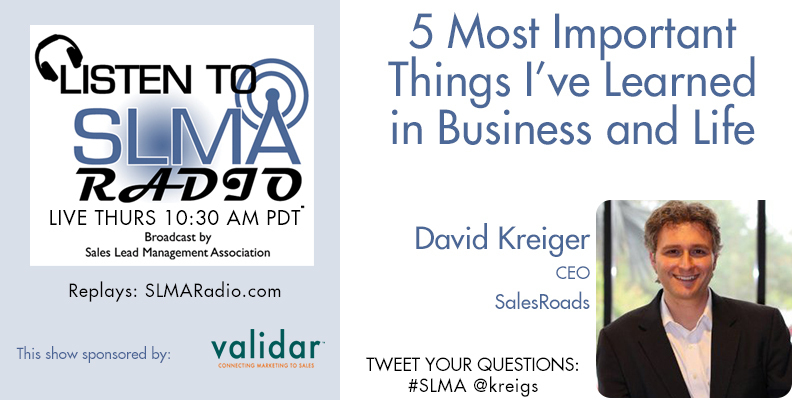 David Kreiger believes in two management techniques for his inside sales representatives: the theory of one thing and that personal growth equals sales growth. Every sales rep needs coaching, no one is ever too good not to improve and grow. But one-fits-all approaches to sales coaching is often a short-term method that is usually a long term failure. 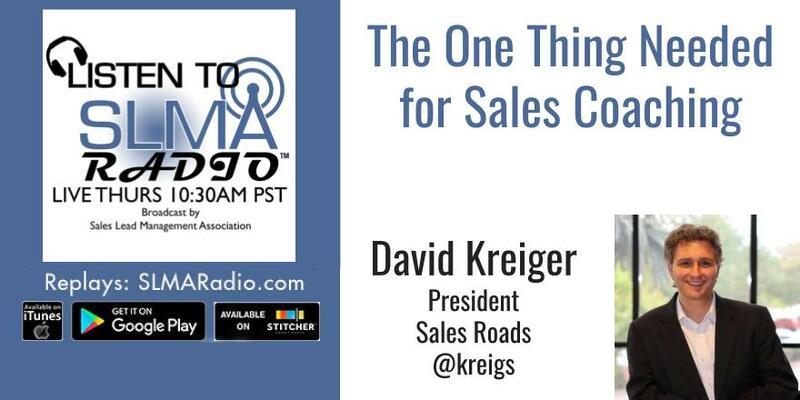 In this program, David Kreiger, president of Sales Roads reveals how he has solved the sales coaching challenge with great success by using the “One Thing” model. SalesRoad’s focus is on developing and implementing high-quality, professional, business-to-business inside sales teams for its clients with its turn-key solutions. These include recruiting, training and retaining highly skilled workforces, developing powerful call approaches, rebuttal strategies and leveraging the latest technologies to build pipeline, increase sales and lower its clients’ costs per sale. For more information you can visit SalesRoads at www.SalesRoads.com or call them at 800-836-4033.